Iridium Communications Inc. has announced the target launch date for their fifth flight aboard a SpaceX Falcon 9 rocket from Vandenberg Air Force Base, California, to continue deployment of their Iridium NEXT communications constellation. Meanwhile, the U.S. government shutdown is now creating uncertainties for SpaceX with their near-term manifest. According to a press release from Iridium Communications Inc. this morning, the company is targeting 18 March 2018 at 08:19 PDT (15:19 UTC) for the fifth flight of the company with SpaceX. Like the four previous Iridium NEXT missions, Iridium-5 will deliver 10 more Iridium NEXT satellites to orbit, bringing the total number of new satellites deployed to 50. As with the Iridium-4 flight, Iridium-5 will make use of a flight-proven Falcon 9 first stage – the same first stage that launched the Iridium-3 mission in October 2017. The booster, B1041, successfully landed on the west coast Autonomous Spaceport Drone Ship (ASDS) Just Read The Instructions after boosting the Falcon 9 through most of Earth’s dense lower atmosphere. After being returned to the Port of Los Angeles, core B1041 was refurbished and prepared for its role as a flight proven-booster on Iridium-5. Overall, Iridium-5 marks the beginning of the second half of launches for Iridium with SpaceX. While the first four of the company’s eight contracted flights took 11 months to accomplish, the final four are anticipated to take place in just half that time, with a rapid launch sequence resulting in completion of the Iridium NEXT manifest by mid-2018. 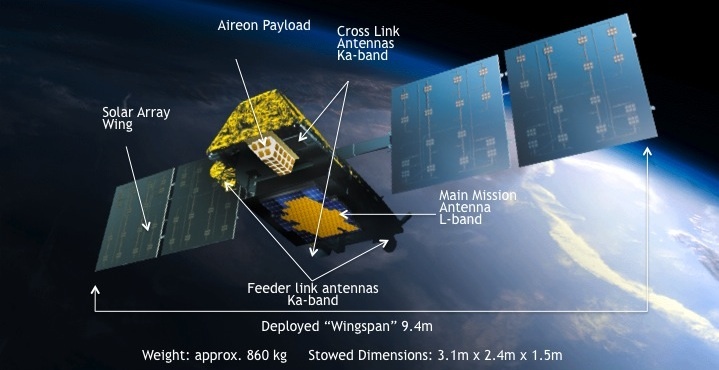 An Iridium NEXT satellite, with key components label. Credit: Iridium Communications Inc. The Iridium constellation comprises 66 active satellites in six polar-orbiting planes, with all 66 satellites cross-linked with one another to create a complete global coverage map for satellite communication services. The Iridium-5 mission, specifically, will be launched into orbital plane one and all 10 satellites will go directly into service in that plane after testing and validation. The release this morning from Iridium also contained a tentative launch target for the Iridium-6 mission, which is a rideshare flight with NASA. 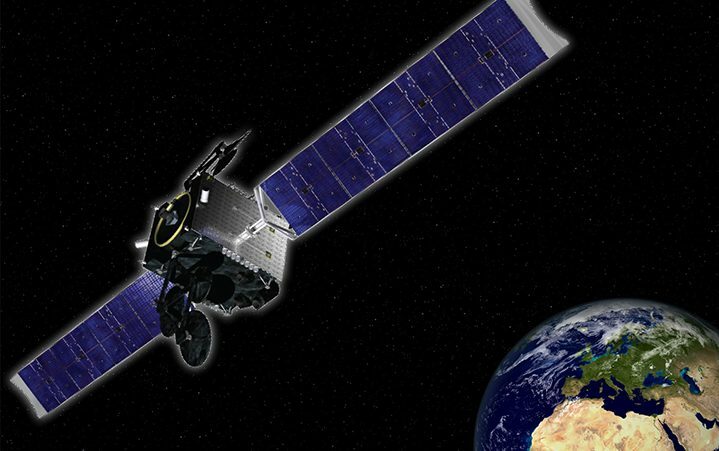 That mission is targeting a mid- to late-April 2018 launch and will ride to orbit with only five Iridium NEXT satellites – sharing the Falcon 9 with a twin pair of satellites for NASA and the German Research Center for Geosciences’ Gravity Recovery and Climate Experiment Follow-On mission. Iridium satellite communications coverage map, showing global coverage capability. Credit: Iridium Communications, Inc. Following Iridium-6, the Iridium-7 and -8 flights will complete the deployment of all 75 Iridium NEXT orbital satellites, 66 of which will be operational and nine of which will be on-orbit spares. The company will retain six satellites to serve as ground spares. The announcement today of a firm launch target for the Iridium-5 mission provides some clarity to SpaceX’s overall manifest for the first three months of 2018. However, the U.S. federal government shutdown, which began at midnight on Saturday, 20 January, is creating some short-term instabilities and questions over the coming weeks. 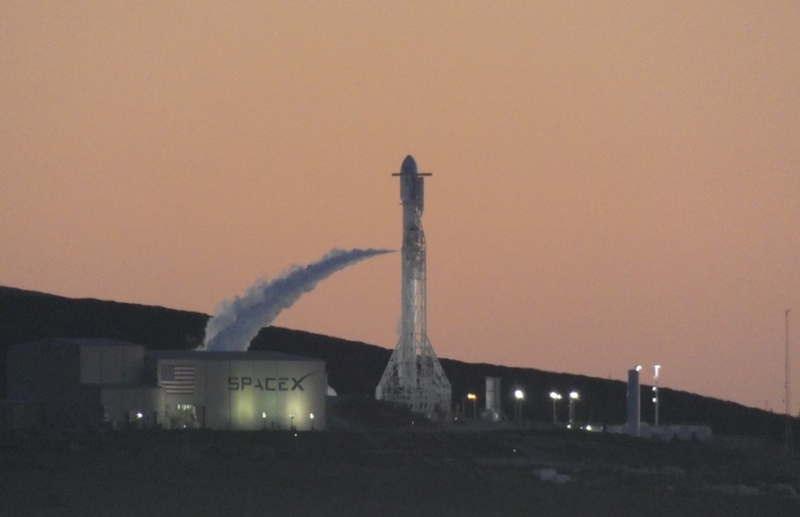 The lapse in U.S. government federal funding, resulting in the furlough of the vast majority of government workers and contract workers, was always going to have some effect on the ability for SpaceX to continue all nominal operations at the Cape Canaveral Air Force Station and Vandenberg Air Force Base launch sites. Prior to the shutdown, there seemed to be some confusion as to exactly what that effect would be, with some indications that critical operations would have to stop while other indications were that those critical operations would be allowed to continue. On the day the shutdown took effect, Saturday, 20 January, SpaceX successfully completed a full Wet Dress Rehearsal of the Falcon Heavy rocket on LC-39A at the Kennedy Space Center – fueling the beast of a rocket with densified liquid oxygen and RP-1 rocket-grade kerosene. At the same time, sources said SpaceX had requested the Eastern Range and the 45th Space Wing of the U.S. Air Force schedule the static fire of the Falcon Heavy for Monday, 22 January. This all seemed to indicate that SpaceX would indeed not be greatly affected by the government shutdown, with critical operations and static fires allowed to take place. This was somewhat contradictory to statements made by General Monteith of the 45th Space Wing back in December 2017, when a government shutdown was also a possibility, when the General said that the 45th Space Wing would be unable to support launches and critical operations due to the furloughing of 3/4 of the workforce. This statement makes it clear that while SpaceX employees are all still reporting for work – as they are not government or government contract employees – and that work to prepare Falcon 9 and Falcon Heavy rockets as well as their payloads for flight are continuing, static fire and launch operations will not be allowed to occur during the government shutdown. Overall, SpaceX is allowed to continue to perform Wet Dress Rehearsal tests on Falcon 9 and Falcon Heavy rockets as those tests do not require Range support. However, static fires, which involve lighting rocket engines, do require 45th Space Wing and Eastern Range support in the unlikely event of a Rapid Unscheduled Disassembly of an engine or a conflagration of the rocket. Moreover, static fires of the Falcon 9 and Falcon Heavy rockets are full-up launch countdown tests – including not just the rocket and SpaceX’s systems, but also range support for communications, tracking, security, emergency personnel support, etc. 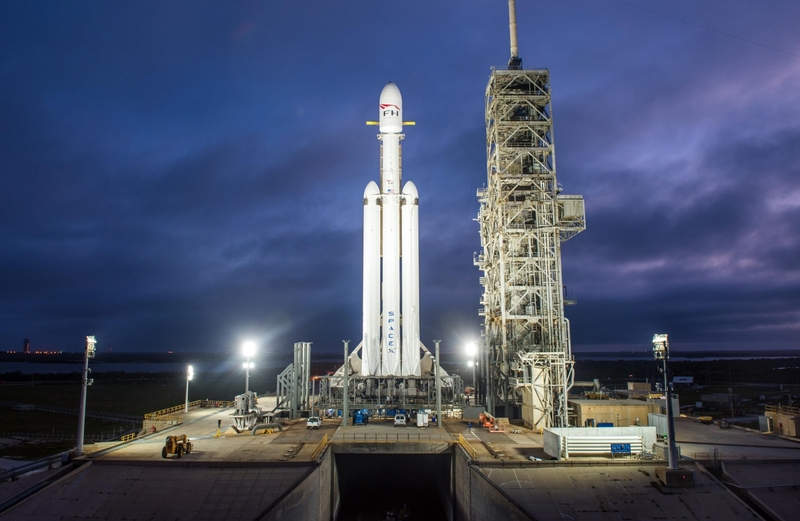 With Falcon Heavy static fire now unsupportable until the U.S. federal government can completely reopen, the SpaceX’s short-term manifest now contains several uncertainties. For Falcon Heavy, the shutdown delays the all-important static fire indefinitely. According to SpaceX Chief Operating Officer Gwynne Shotwell, the Falcon Heavy launch will not take place until about two weeks after the rocket’s static fire, meaning Falcon Heavy is now realistically looking at a No Earlier Than (NET) mid-February launch target. The shutdown also creates uncertainties for Spacex’s NET 30 January launch target of the GovSat/SES-16 mission for the SES Corporation in Luxemburg. If the U.S. government shutdown is resolved and funding restored in the next couple days, it is possible the SES-16 mission will be unaffected – as we are, as of writing, three to four days away from that mission requiring a static fire on SLC-40 to make a NET 30 January launch. 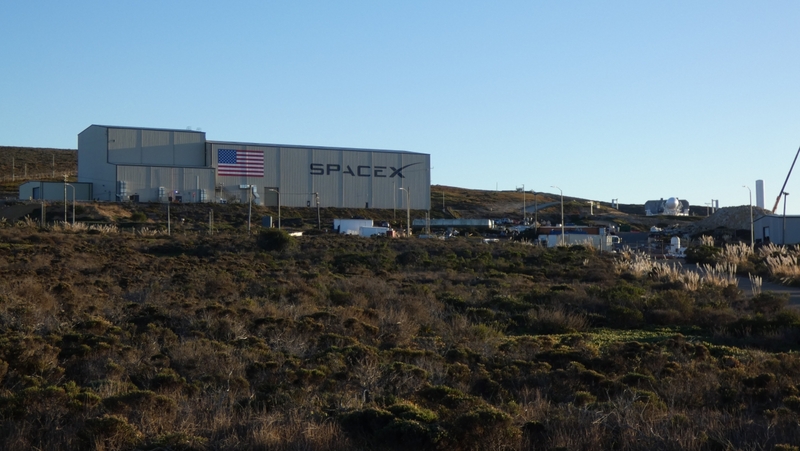 If the U.S. government shutdown persists for more than a few days, however, SpaceX would miss the static fire window needed to maintain a 30 January launch for SES-16. Beyond SES-16, SpaceX also has a scheduled NET 10 February launch of the Paz mission from Vandenberg Air Force Base, California, and a mid-February launch target for the HispaSat 1F mission from the Cape Canaveral Air Force Station, Florida. The total length of the U.S. government shutdown will ultimately determine whether or not those two February missions’ launch dates are affected – specifically HispaSat 1F which has a launch date directly tied to the turn around activities on pad SLC-40 once SES-16 launches. Overall, this U.S. Government shutdown is the first time the full effects of such a political maneuver are being seen on the commercial launch market, as the last U.S. government shutdown in October 2013 did not occur during SpaceX’s rapid launch cadence period. Moreover, U.S. government shutdowns generally bring a stop to all U.S. government launches and launch preparations unless those launches or preparations are either deemed necessary for U.S. National Security or have a tight launch window that, if missed, would cost the government more money than it would to simply approve emergency funding to let the launch/preparation continue. UPDATE -12:59 EST: The Senate has voted to end debate on an amended bill to fund the U.S. government for three weeks. The bill now goes back to the House for debate and vote. If it passes the House without changes, the President then needs to sign it into law. Once all those things happen, the government reopens. Once the government reopens, the 45th Space Wing will need time to get into a posture to be able to support the static fire of Falcon Heavy this week. SpaceX also needs to static fire the booster for GovSat/SES-16 this week – and a schedule priority balance will have to be determined by SpaceX between these two tests.